I’m reading Eric Metaxas’ fascinating biography of Dietrich Bonhoeffer. Here’s something amazing to me. 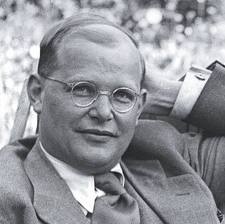 Bonhoeffer had a degree in theology (having studied under some of the most esteemed theologians of the day), taught Sunday School classes, lectured on biblical doctrine, served as an interim pastor for a full year, and even earned his doctoral degree. Yet after all this, people noticed a change in Bonhoeffer. I plunged into work in a very unchristian way. …Then something happened, something that has changed and transformed my life to the present day. 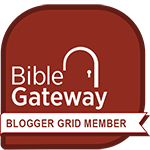 For the first time I discovered the Bible… I had often preached. I had seen a great deal of the Church, and talked and preached about it — but I had not yet become a Christian. …I know that at that time I turned the doctrine of Jesus Christ into something of personal advantage for myself… I pray to God that that will never happen again. If such a man as Dietrich Bonhoeffer discovered that he knew about Jesus without knowing Jesus personally, shouldn’t we, too, “Examine yourselves to see if your faith is genuine. Test yourselves. Surely you know that Jesus Christ is among you; if not, you have failed the test of genuine faith” (2 Corinthians 13:5).